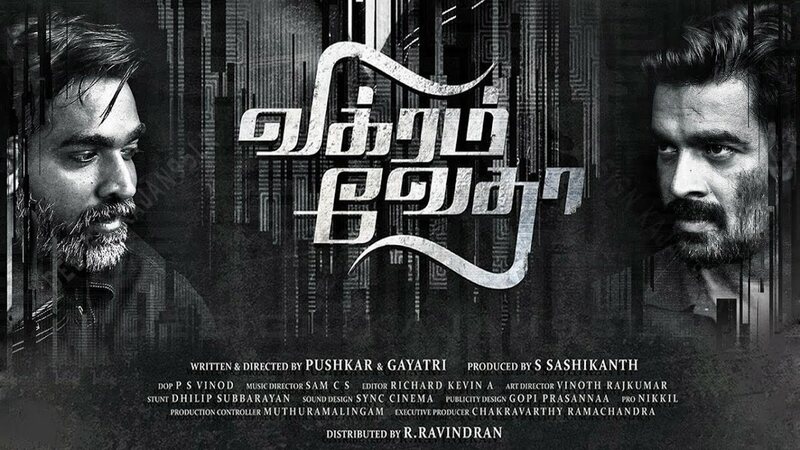 If there has been a recent Tamil movie with a title that symbolises its story it will be Vikram Vedha (2017). We are all familiar with the stories of a brave king “Vikramaditya” fighting a ghost “Betaal”; the captured ghost starts narrating a story on morality and questions the king for the right answer – we hear this story in the title card. I got a bit sceptical. Over emphasis on something is a sure sign to me that the movie is going to lack somewhere else. The story of Vikram Vedha is a typical police-gangster chase story. Here the “good” cop Vikram is played by R.Madhavan and the “feared” gang leader Vedha is played by Vijay Sethupathi. The film starts with Vikram (Madhavan) heads a strike unit that shoots down many dreaded gangsters, of which some are fake encounters. Right now his team is eliminating everyone in Vedha’s (Sethupathi) gang and he goes after Vedha. Suddenly Vedha surrenders before the police, while there he narrates a story to Vikram – and that is how he became a gangster. Then he poses a question to Vikram on what he should’ve done, just like the Vikram-Betaal tales. At first, I felt this Question-Answer between Vikram-Vedha was just a gimmick to spice up an otherwise ordinary gangster film. As the movie progresses, more Q-A sessions happen between Vikram-Vedha and slowly it dawns on you; that the Director duo Pushkar-Gayathri are using this format effectively for a gripping story telling. You start to enjoy the film. The screenplay spends very little time in character definitions – what is focused is on what happens next; even the love and marriage between Madhavan–Shraddha Srinath characters are limited to the introduction song Yaanji, a nice melody. Character casting has come out well – Madhavan and Sethupathi have played their roles perfectly. The Directors have to be appreciated for maintaining the suspense until the end, making the twists enjoyable. 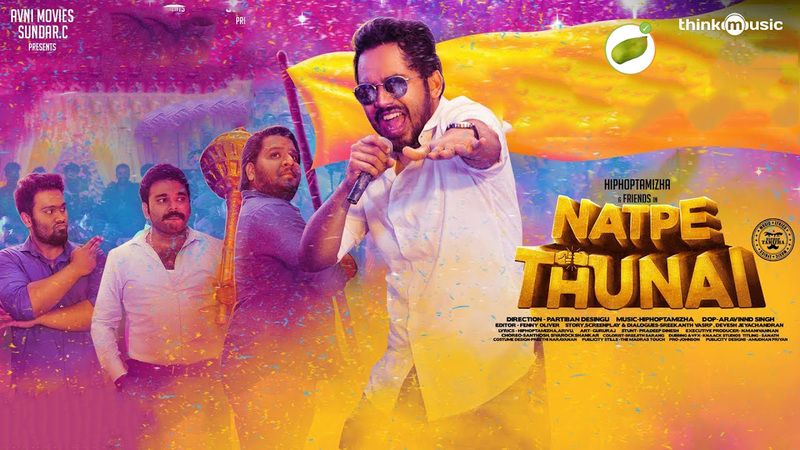 Background score and music by Sam C. S. adds a big support to the whole film. Vikram Vedha is a fine watch, don’t miss it.